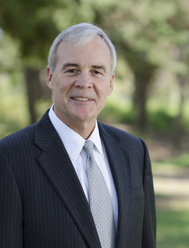 After graduating from UCLA and getting his MBA from Cal State University Long Beach, Bob began his real estate career over 30 years ago. Bob began working for a residential homebuilder in Orange County where he focused on the financial and marketing side of the business. After gaining extensive financial experience in new home development, Bob brought his years of experience to the home mortgage business, which has become his true life passion for the past 24 years. Over his mortgage career he has closed virtually every kind of loan for his clients – home purchases, refinances, investment (rental), vacation homes and construction loans. This encompasses loans from $100,000 to over $2,000,000. Currently Bob and the Howe Team manage over $162,000,000 worth of loans. He has made it his mantra to be extremely knowledgeable in all facets of residential mortgage lending. Bob and his team consistently use their extensive backgrounds to make your experience timely, smooth and stress free – and the lowest total cost loan! To view a few testimonials from his past clients please Click Here. Bob has been married over 35 years and he has three children Kirk, Katie and Andy. Katie has worked for Bob, her father, for over twelve years and has grown into a valuable asset for the Howe team. Katie graduated from the University of Arizona. She is married and recently had a beautiful baby girl, Brooklyn. Bob is a proud grandpa. 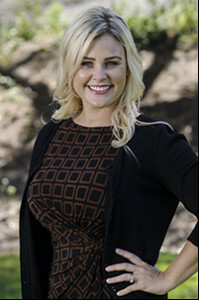 Whitney, Bob’s daughter-in-law, joined the Howe Team over 5 years ago and she brings years of loan experience to help their clients. Know Howe…for your next loan! Katie, Bob’s daughter, graduated from the University of Arizona with degrees in Communication and Spanish. Working with Bob since 2002, Katie shares her excellent people skills that are instrumental in servicing the client’s needs and financial goals. She is a “natural” in establishing relationships based on trust, expertise and professionalism. Katie is married with a daughter. Traveling, exercise and spending time with family and friends are her “beyond work” activities.